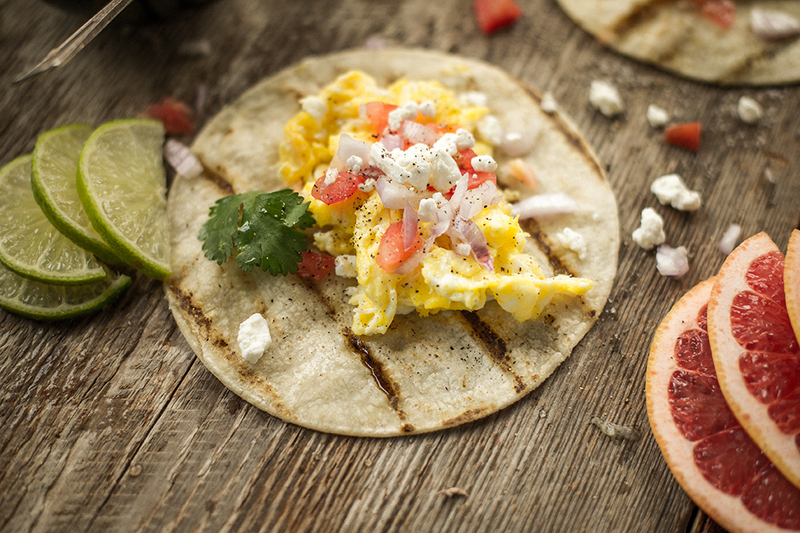 Good morning grilling starts with a delicious breakfast taco! 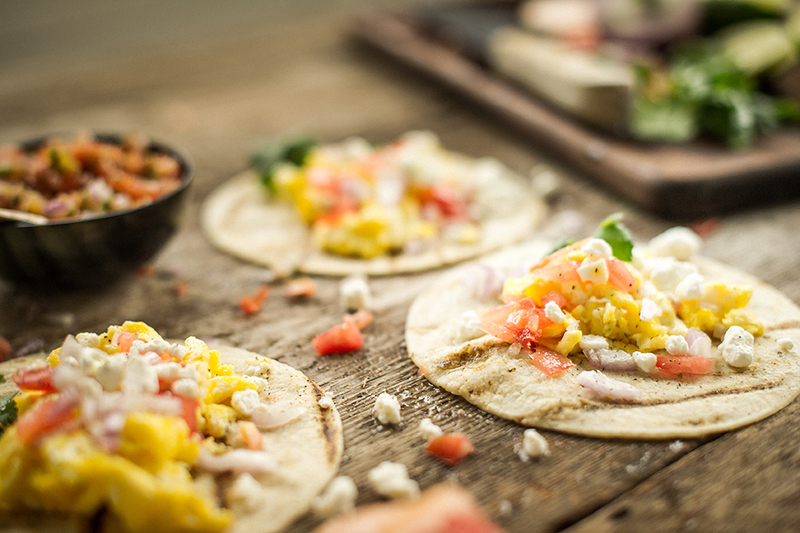 The classic flavors of eggs and tomatoes combined with rich texture of goat cheese and the citrus of a lime, this is sure to be a family favorite! Discover the possibilities of George Foreman, shop online today! In medium bowl, whisk eggs, salt and pepper. Preheat Indoor/Outdoor Grill to setting 3. Place whisked eggs on grill surface and grill until cooked or for approximately 4 to 5 minutes. Place tortillas on unused portion of grill to warm up. Remove tortillas from grill after 30 seconds. 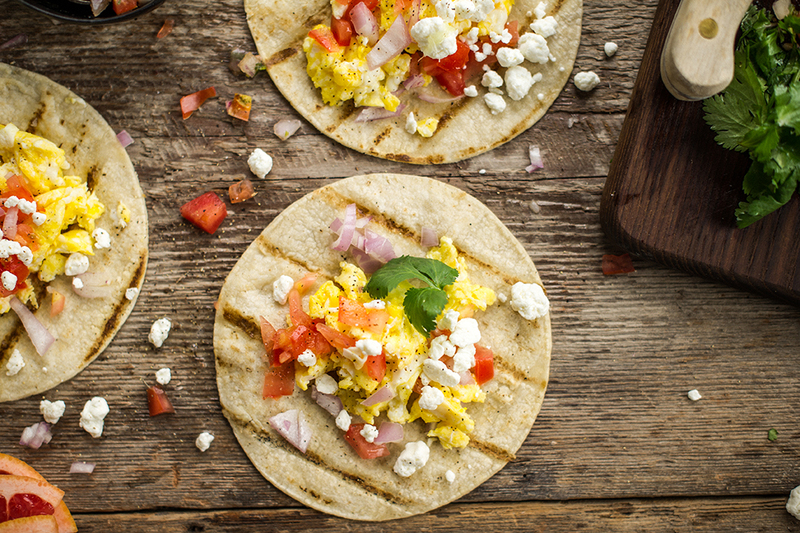 Remove eggs from grill and evenly spread between four tortillas. Add diced Roma tomato, scallions and goat cheese. 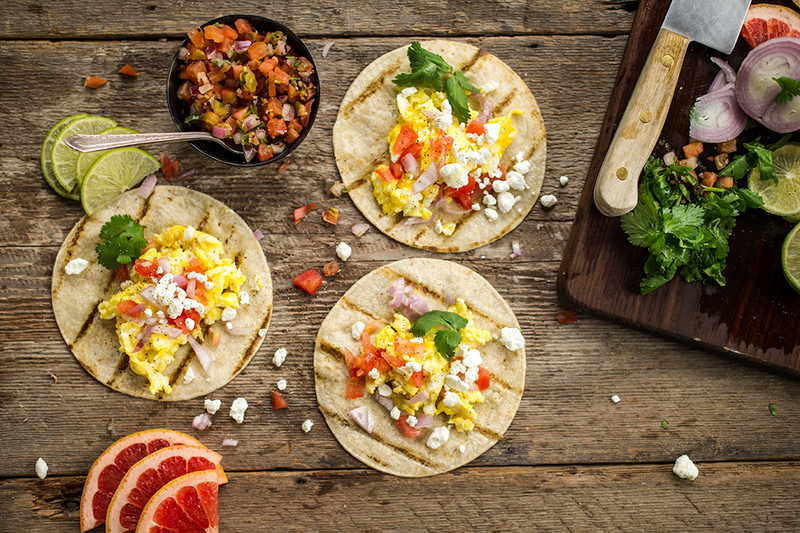 Serve immediately with two lime slices per tacos to squeeze on top.